I’ve been keeping on track with my gestational diabetes journey. I’ve (pretty much) followed a strict diet and my numbers have definitely been MUCH better than last time ’round this block. I’ve found that soup/salad combo for lunches have helped keep my numbers stable. Of course, dark chocolate brownies are not part of the plan, but even just eating 1/8 of a small piece will do your heart good. I promise. Let’s get this party started, shall we? 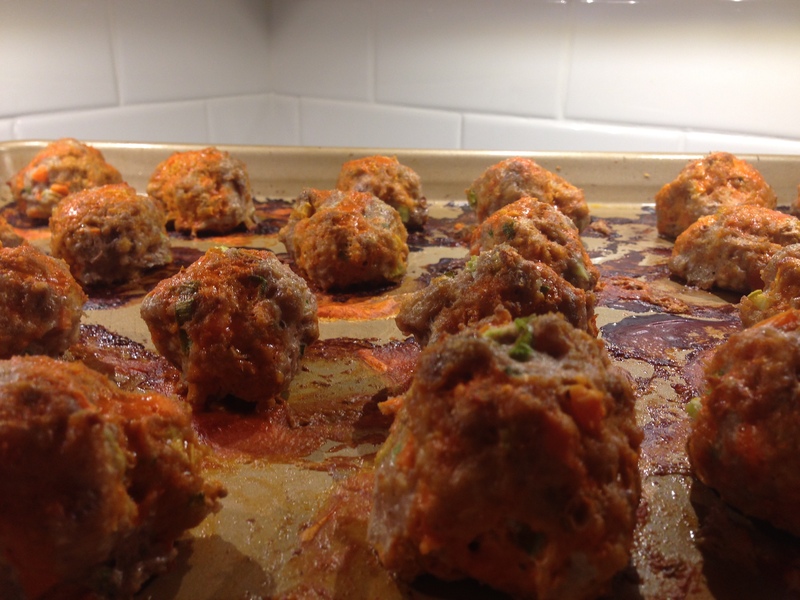 First up: Skinnytaste’s Buffalo Chicken Meatballs. There for a minute I kind of went Buffalo Chicken crazy. Remember? I posted about the Crock Pot Buffalo Chicken, which was a great success. Clearly, I was on a roll, so I decided to try Buffalo Chicken Meatballs. Here’s the thing: I’m not a big fan of the texture and color of ground chicken in meatball form, so I decided to use ground turkey instead. It turned out perfectly delicious and I’m glad I stuck with my gut on that one. 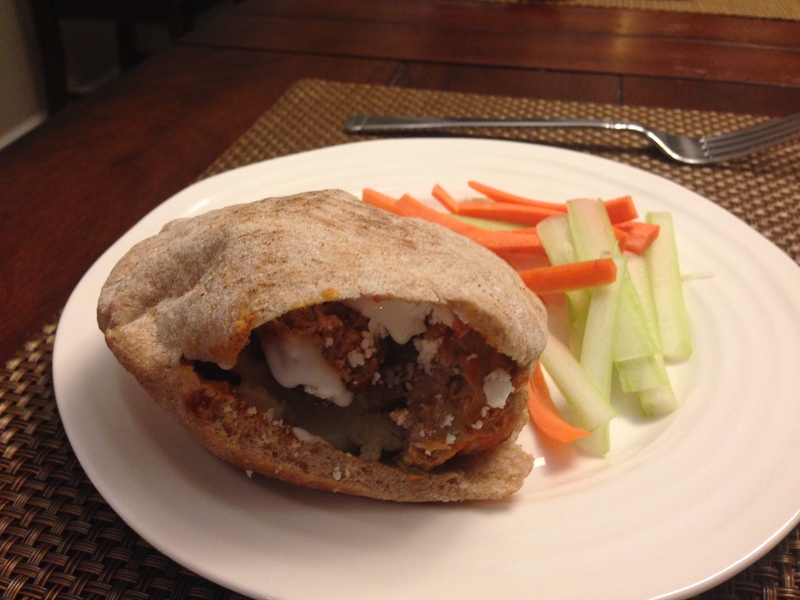 Then I got crazy and stuffed the meatballs in a small pita. I added some celery, carrots, and drizzled some of my Bolthouse Farms Ranch and/or Blue Cheese Yogurt Dressing on top. See those celery and carrot sticks on the side? Yep, that’s what has to happen when you choose a pita for the vessel. 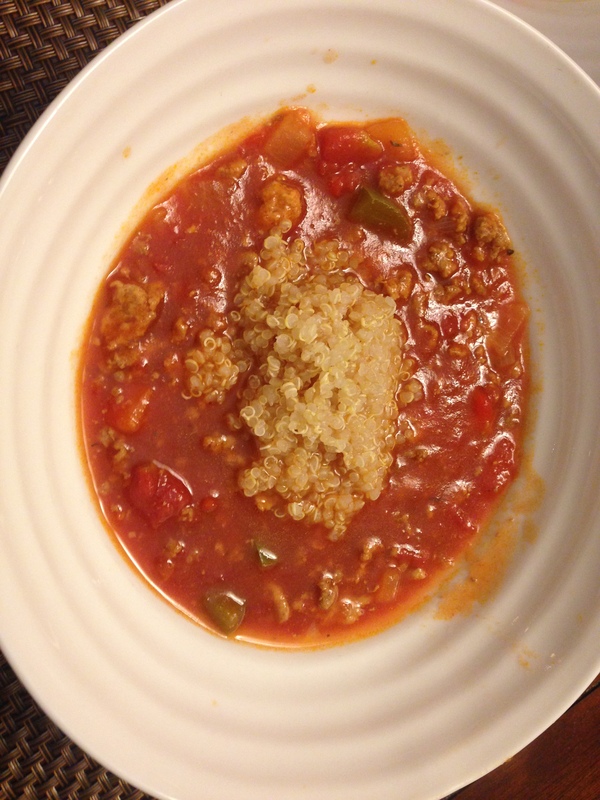 Next up: Skinnytaste’s Stuffed Pepper Soup. This was a rather simple recipe and really tasty. I didn’t have any marjoram, so I just used oregano instead. I also used quinoa instead of brown rice (hello, gestational diabetes). Done and done. I highly suggest you click on the link above for a better photo than the one I captured below. 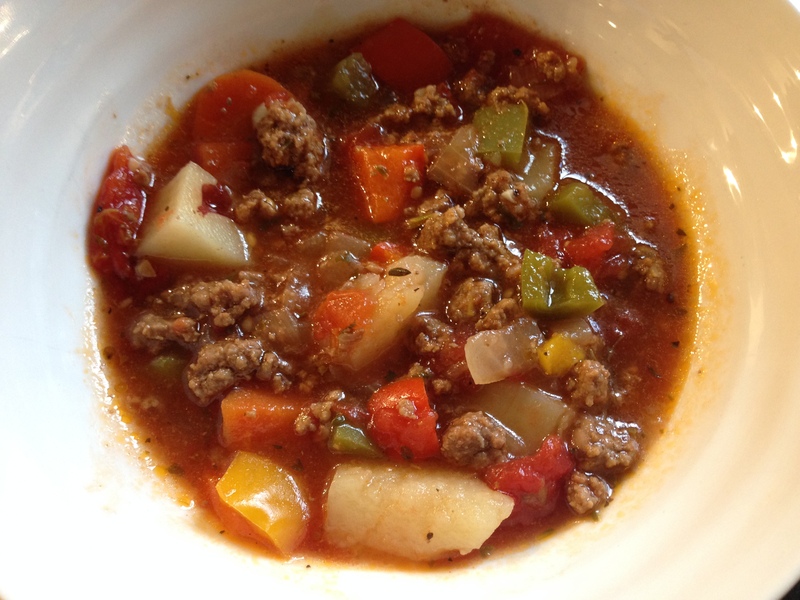 Next up: Pioneer Woman’s Hamburger Soup. I don’t know if I was just in the mood for this soup or if it was just THAT good, but I think I ate this SIX days straight and that’s saying something for me. I took it to work. I ate it for dinners. I loved it. It was super easy to make and I’ll be making this again VERY soon. 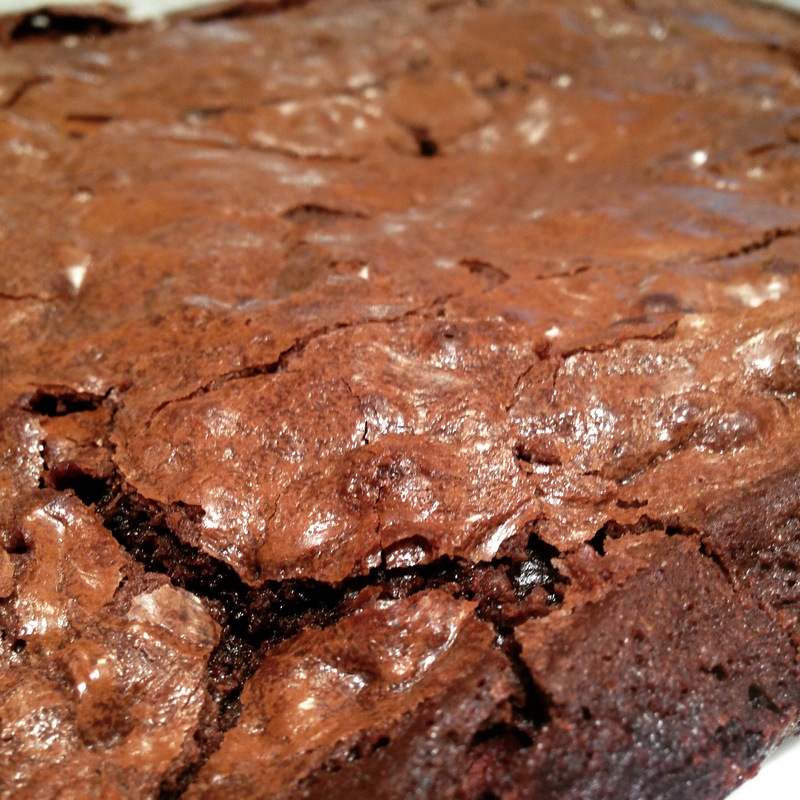 Okay last but not least: Pioneer Woman’s Dark Chocolate Brownie. I don’t know where to start with this one. I can’t even begin to tell you how delicious these are. I’m not kidding. The only thing I changed was wherever you see chocolate, I just used dark chocolate (down to the cocoa powder). Make them. And if you have sugar issues, just cut down on the sugar. Or better yet, just cut down your portions. Even a nibble is worth the effort. Trust me. Hope these recipes are helpful and provide a little inspiration for your week! My daughter will love these meatballs.